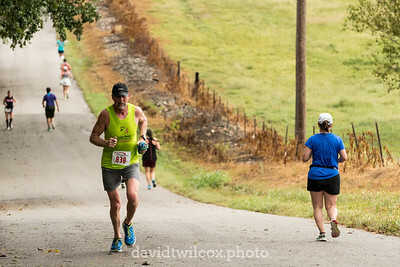 Other running events throughout the Ozarks area. 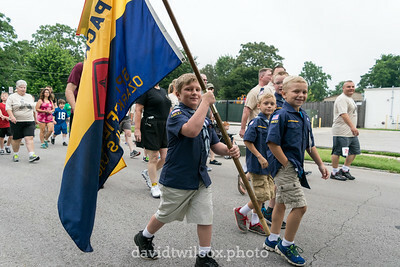 Boy Scouts march in American Red Cross Run for Rediness mile walk and 5K run. The annual race benefits military members and their families. 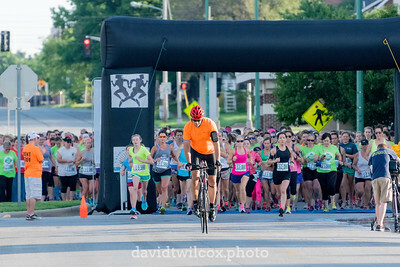 One last look at the competition about 50 meters before crossing the finish line at the Firecracker 5000 5K and 10K in Branson, Missouri. 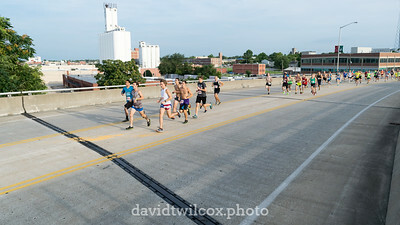 Runners cross the Benton Avenue bridge at the start of the Bentley 5K in downtown Springfield, Missouri. 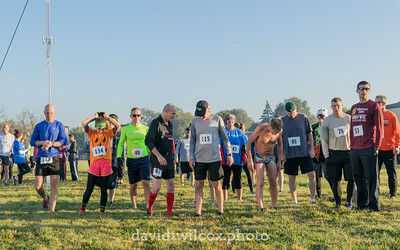 The starting line of the Superhero 5K was on a wet, dew-covered grassy field next to Baptist Bible College that proved to be slippery footing for more than one runner. 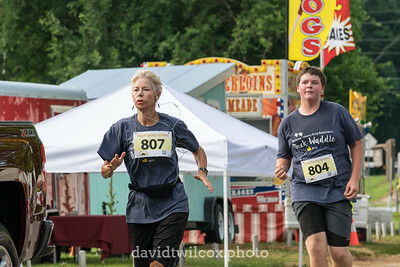 Lead cyclist Sherry Thompson takes a moment to chat with runner Stephen Aleman during the Wizard Waddle 5K. 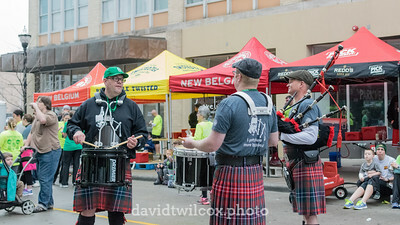 Musicians entertain the crowd at the finish line of the Dublin's Pass Shamrox 5K / 15K in downtown Springfield, Missouri. 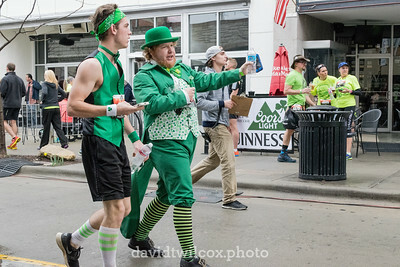 Every St. Patrick's Day race needs one red-haired bearded man in a leprechaun costume. Here's this one. Runners Jenny Russo, Trina Wilcox and Rosie Laughlin catch their breath and discuss their times after finishing the Dublin's Pass Shamrox 15K. 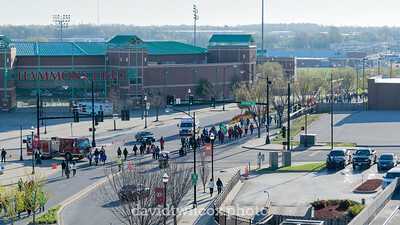 Walkers participating in the Big Party Half Marathon and 5K march past Hammons Field in downtown Springfield, Missouri. The annual event benefits Camp Barnabas. 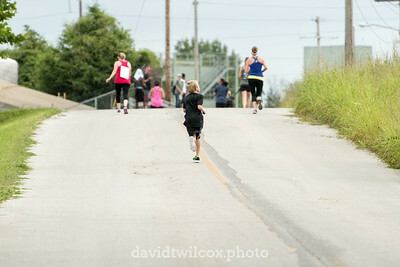 With a hard kick, a runner breaks away to the finish line of the Sertoma Duck Waddle 5K in Ozark, Missouri. 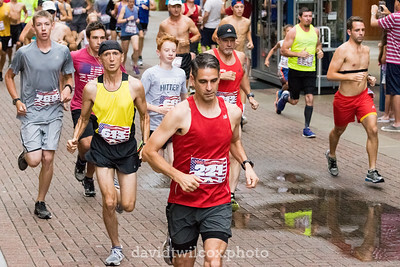 Runners watch for puddles and each other at the crowded start of the Firecracker 5000 in Branson, Missouri. 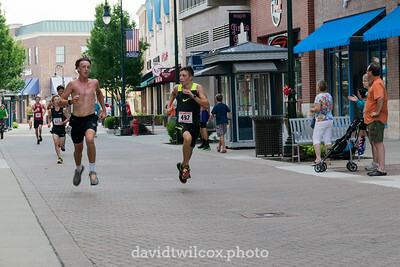 The 5K and 10K event takes place along the waterfront at Branson Landing on July 4 each year. The all female pack at the Girls Just Want To Run 5K and 10K take off after the lead cyclist. 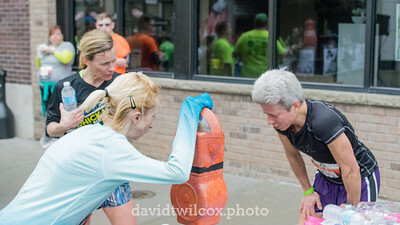 The race is one of two female-only running events that are held annually in Springfield, Missouri. 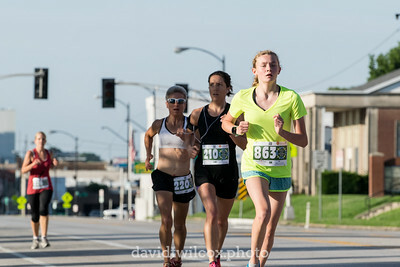 The three runners that ended up being the overall 5K winner, overall 10K winner and masters 10K winner stack up in a row at mile one of the Girls Just Want To Run 5K and 10K in Springfield, Missouri. 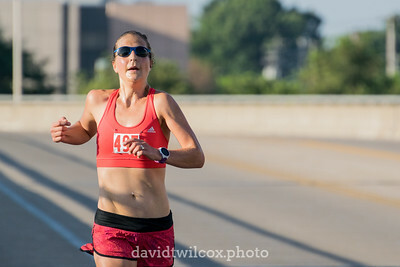 Sarah Ibbetson prepares to make the final ninety degree turn to the finish line after crossing the Benton Avenue bridge at the Bentley Run 5K in downtown Springfield. 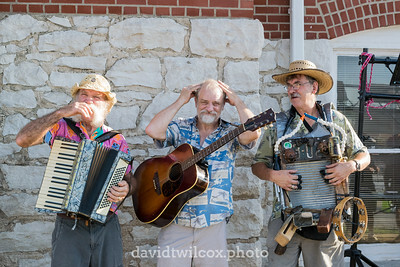 This trio provided some lively musical entertainment at the Bentley Run 5K in Springfield, Missouri, along with colorful commentary for the runners. 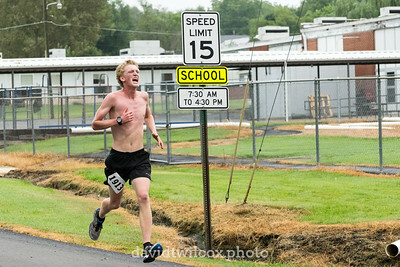 The lead runner in the MOCH 5K grimaces with effort as he crosses the main road in Ava, Missouri. 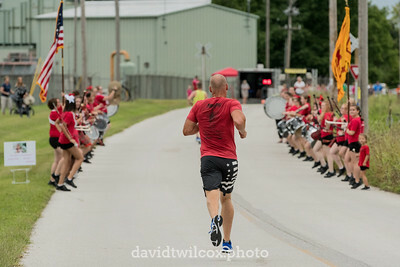 The Central High School Kilties Drum and Bugle Corps play for the runners at the finish of the Haley's Hope Hot and Hilly 5K and 10K in Springfield, Missouri. 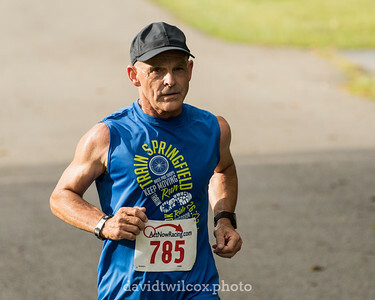 The race is one of the toughest 10K courses around, with constant and extreme elevation changes, and is deliberately held at the hottest and most humid time of the year. 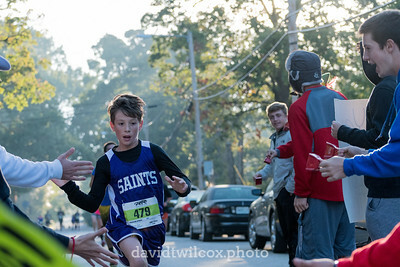 A young runner makes his way up the last slope of the Haley's Hope Hot and Hilly 5K and 10K course before getting to the final stretch, one of the few flat sections of the entire race. 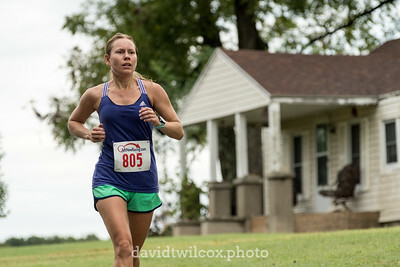 Meike Kuester heads back to Nixa after passing the turnaround point of the Azalea Run half marathon. 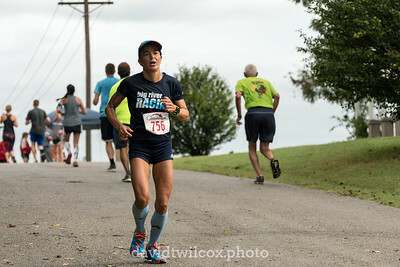 Lali Tucker begins her effort to finish the second half of the Azalea Run half marathon after passing the turnaround point southwest of Nixa, Missouri. 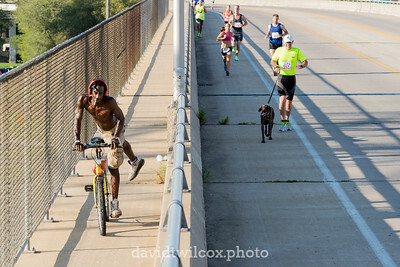 Runners pass each other in the dip near the turn around point of the Azalea half marathon in Nixa, Missouri. The out and back course covers some of the hilliest terrain in the back roads near the town, with a reputation for being tough. 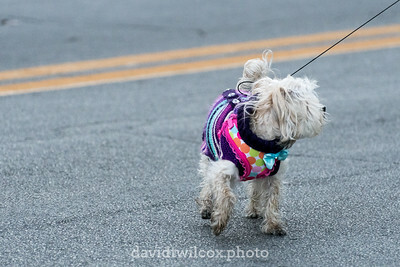 A slightly impatient dog waits for its owner to catch up while participating in the 5K walk of the Panther Run 5K/10K/15K at Drury University. 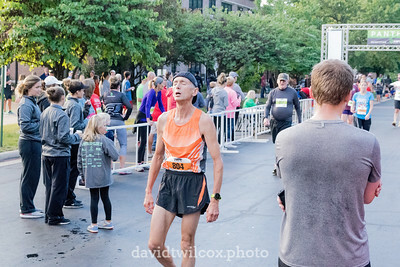 Richard Leiboult catches his breath after finishing first in the master's division of the 10K in the 2016 Panther Run 5K/10K/15K at Drury University. 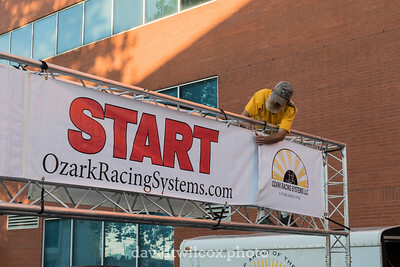 A worker puts the final touches on a banner hanging over the start line. 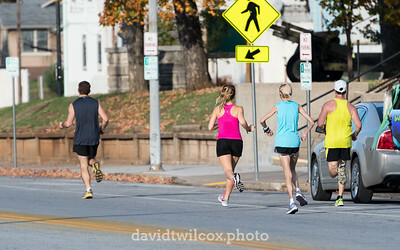 The lead pack of runners breaks away at the start of the Halloween Hustle 5K/10K in downtown Springfield, Missouri.